BRYAN EATON/Staff Photo. The Lisa Ann II comes in the mouth of the Merrimack River past the north jetty at Salisbury Beach State Reservation, the repairing of which is now complete. 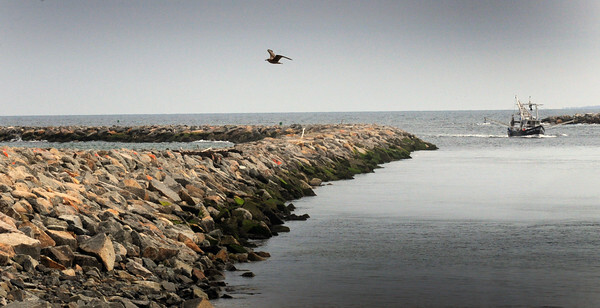 The area around the jetty had been closed to the public since work started on the project.